How do solar panels produce energy to be used in my home? 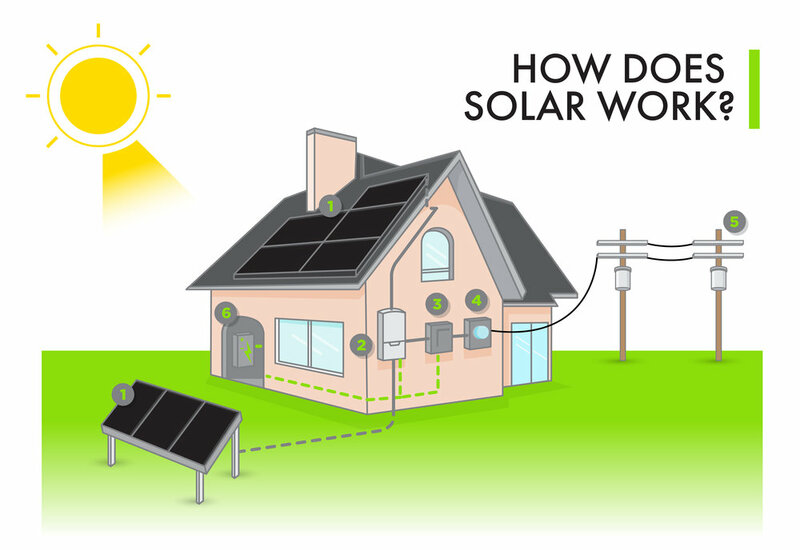 THE BASICS: Find out how solar panels work by converting solar energy to electricity. IN DEPTH: Watch this 5 minute TED video for a more detailed lesson on HOW solar panels work, down to the materials and functionality. Photovoltaic panels generate electricity directly from sunlight via an electronic process that occurs naturally in semiconductors. Electrons in these materials are freed by solar energy and can be induced to travel through an electrical circuit. *information and resources, in part, have been adapted from the Consumer Guide to Solar Electricity for Your Home, U.S. Department of Energy, 2009.